The PSG-Group is a group of related businesses involved in property refurbishment, damp proofing, cellar refurbishment, cellar building, dry rot control, woodworm control, timber treatment, condensation Control, along with other services. We ensure you get an accurate and comprehensive assessment, report and quote, then provide you with the best qualified and experienced installers / trades to complete your job. There's no compromise when it comes to quality, the installers / tradesmen within our group use only top quality materials and best-in-class equipment brands to complete your job. The groups’ goal is for its members to consistently deliver outstanding service, with the best professionals that London and the home counties have to offer in professional property care services. Your satisfaction is our groups reputation. We all take this very seriously and make every effort to ensure you are happy with the outcome. We take great pride in our work, it's on show every time you or a visitor look at your property, if we're not happy with the result, we don't expect you to be. Having a wide range of cross industry capabilities to call upon within our group means you have years of industry experience at your fingertips. This is why we only allow fully qualified, experienced tradesman and professionals to be a part of our group, we feel this is essential to giving you the best service possible. The assessor will inspect all accessible areas of the property, & provide you with a fully documented, easy to understand, detailed inspection report, outlining recommendations and attaching quotes for treatment / installation. This means that you should have no nasty surprises, no unfulfilled expectations, we tell you what was found, what is needed to remedy it and how much it's going to cost. PSG-Group is, as its name implies, a group of leading property care, damp proofing, timber treatment and basement refurbishment specialists, covering Central & West London, Surrey, Berkshire, Sussex, Wiltshire, Hampshire and Oxfordshire. We offer a comprehensive range of specialist services for residential and commercial properties. 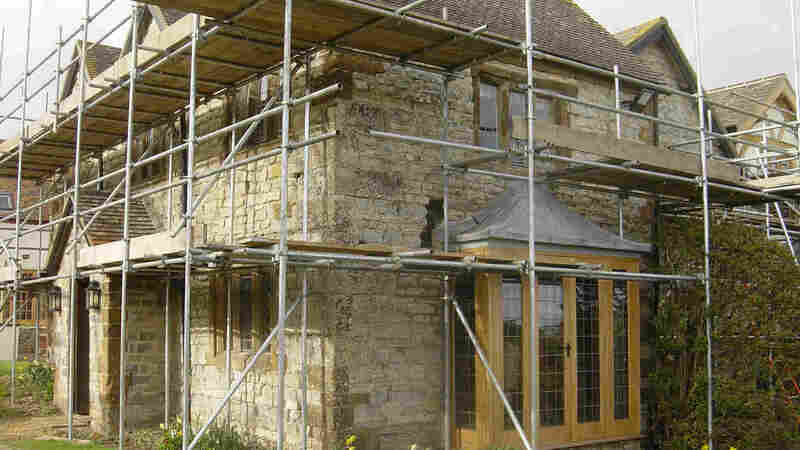 Total building repair, refurbishment and restoration. Recovering from, and protecting against age, water and mould damage or infestations. The underground nature of basements and cellars means they are more susceptible than ‘above ground’ structures to damp/flood problems. Transform an unused cellar space into a habitable room or accommodation which could add considerable value to your property. © Copyright 1979-2018. PSG-Group. All rights reserved.